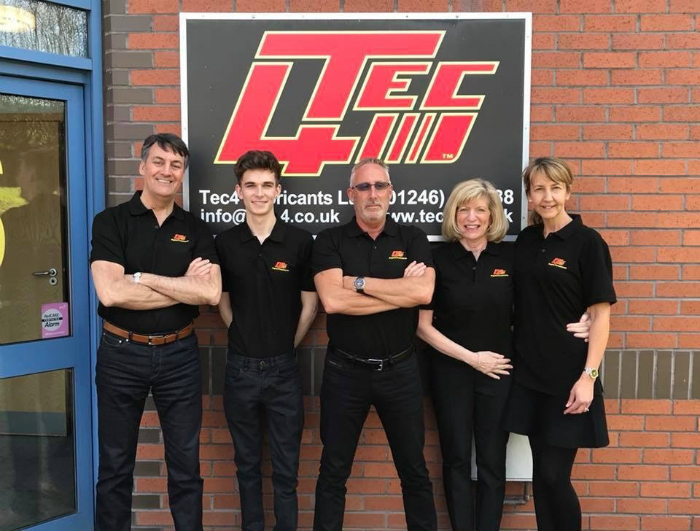 An increase in the number of diesel cars entering the independent aftermarket is being credited as a driving force behind the significant growth of Derbyshire-based business Tec4. Throughout the past five years, the engine treatments company has grown from a standing start to £1.5m turnover, with demand rising year-on-year for its range of engine treatments. In particular, the company’s Oil System cleaner and Diesel System cleaner are in high demand from independent repairers looking to carry out preventative maintenance on three-to-four-year-old diesel cars, helping motorists avoid the problems associated with blocked EGR’s and diesel particulate filters (DPFs). “Modern Euro 5 diesel engines are particularly susceptible to contamination issues. Extended service intervals and stop-start driving all place a high demand on modern oils, leading to contamination build-up on key components within the engine. If left, this can lead to oil misting through the PCV system contaminating throttle bodies, inlet and exhaust valves and gas recirculation valves. On diesel vehicles, this inevitably leads to premature blocking of the DPF, which can cause significant issues if not regenerated effectively. To complement Tec4’s successful 4-in-1 carbon cleaning machine the company recently launched a new portable DPF and exhaust gas recirculation (EGR) cleaning machine. Although sales continue to increase, Tec4 is noticing that smart repairers are investing more in preventative maintenance measures such as engine treatments. “In an ideal world, no repairer would need to buy a cleaning machine, because they would all be using engine treatments to carry out an engine flush and fuel system clean as part of the routine service. This would stop the majority of EGR and DPF issues and negate the need for costly repair,” Welch said.